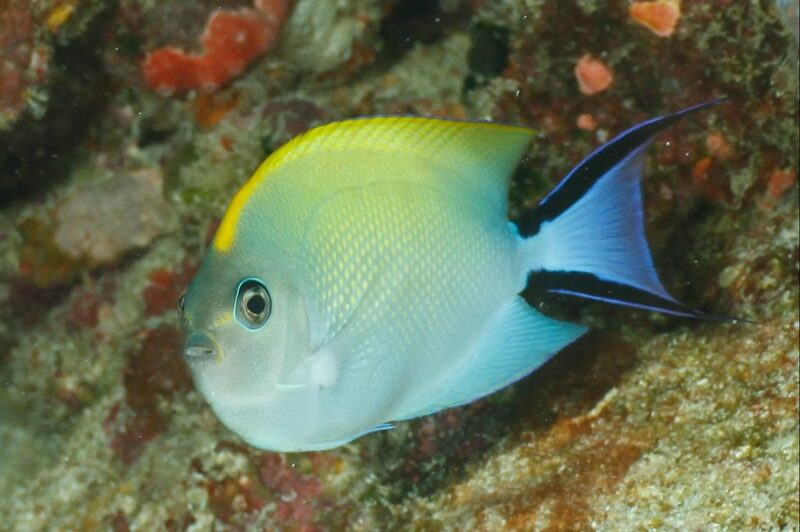 The Swallowtail Angelfish is also known as the Japanese Angelfish and reside in the northwest Pacific Ocean from southern Japan to the Philippines. They are reef safe and can be kept in small groups or harems consisting of one male and several females depending tank size over 125 gallons. Consult pictures on the internet to properly distinguish males from females. Provide plenty of hiding places in the rock for this fish. 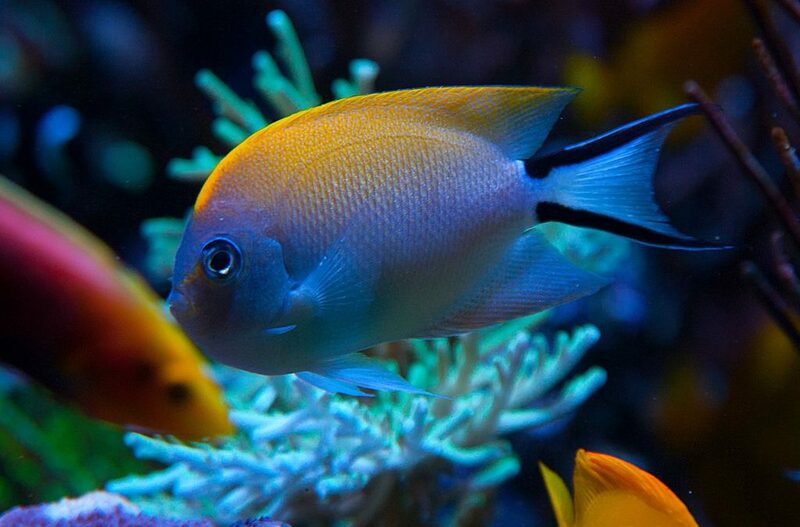 For continued good health, they should be fed Angelfish preparations containing algae and sponge along with meaty foods like Brine and Mysis Shrimp.